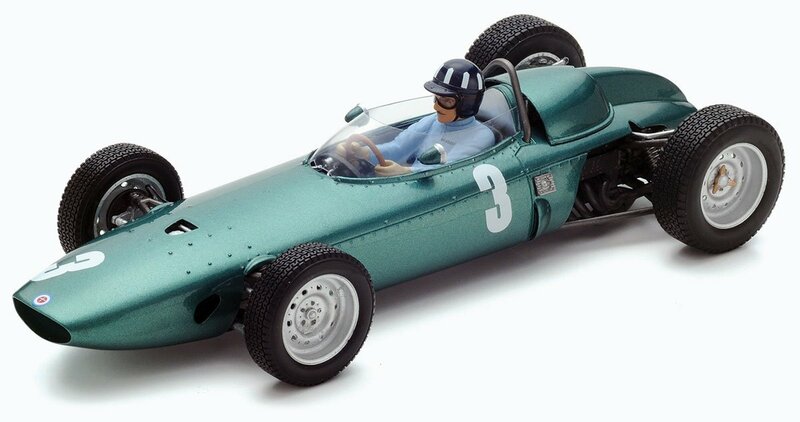 The other day, Spark finally released its 1:18 replica of 1962 Formula One champion Graham Hill’s BRM P57. We can’t believe it has taken this long for one of the model manufacturers to think that replicating this world championship winning machine in 1:18 would be a good idea! But the saga is now at last at an end. 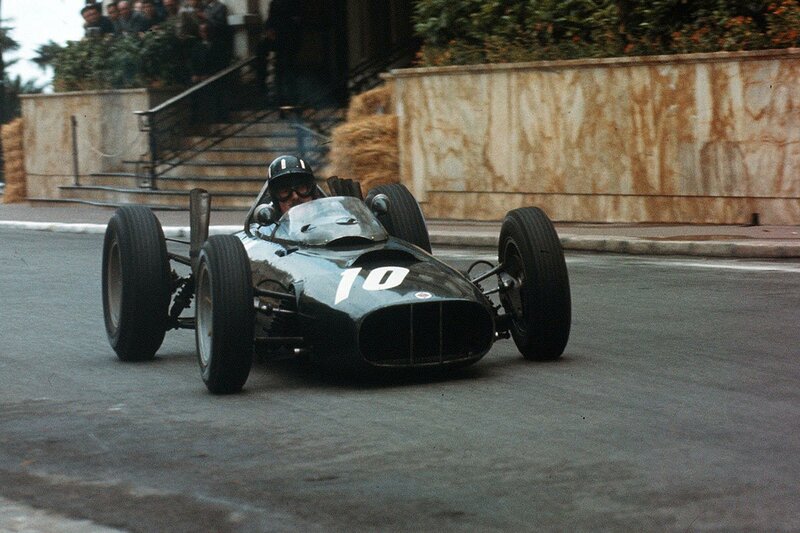 The 1962 Formula One season was dominated by BRM’s Hill and Lotus’s Jim Clark, the pair winning seven of the nine rounds between them. 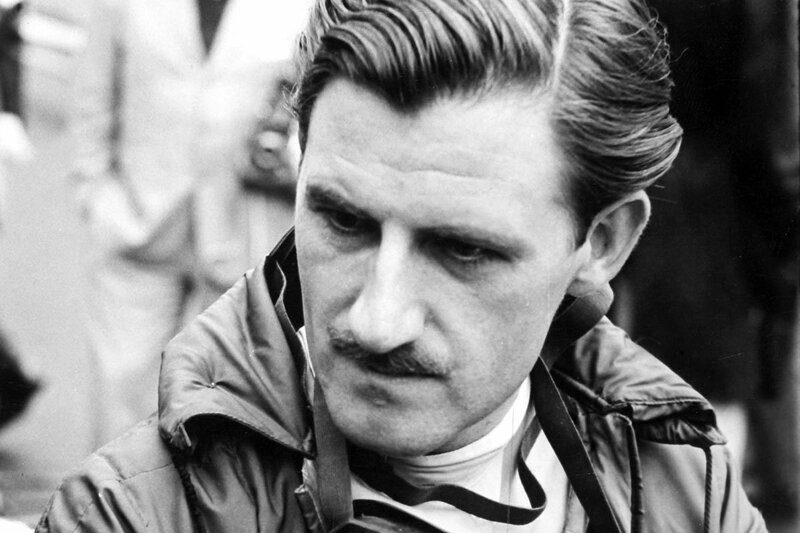 Aside from them Bruce McLaren and Dan Gurney had taken a win apiece, while Stirling Moss, who was expected to be at the sharp end in a dark blue Rob Walker-entered Ferrari, had suffered his career-ending accident at Goodwood. Going into the season finale in South Africa, Hill and Clark had taken three wins each from the eight races held so far. On 29th December (yes, the season really did end that late in the year!) in East London, it was a classic case of winner takes all. Jim Clark held the lead from pole position in his revolutionary monocoque Lotus 25, and comfortably maintained it until there were 20 circuits of the 82 lap encounter to go. Unfortunately for the Scotsman, his Lotus team’s reputation of fast but fragile bit him once again, with an oil leak forcing him out of the race. This left the way clear for Graham Hill and his faithful BRM P57 to take the chequered flag, and with it both world titles. People have been waiting some five and a half decades for this iconic car to be replicated! As you can imagine, demand for this 1:18 Spark model has been huge, and we would be surprised if it is anything but completely sold out within the next few weeks. Don't leave it too long.